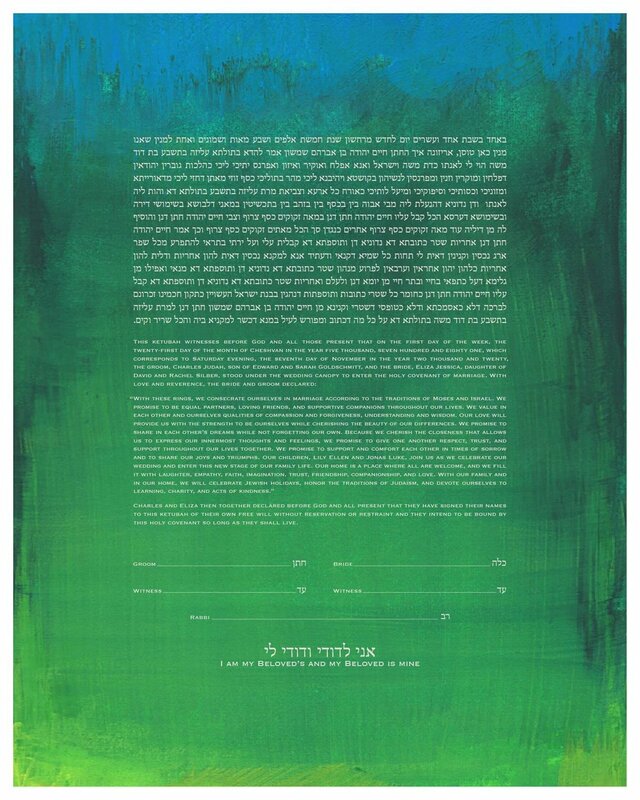 Lavish and enthusiastic brush strokes of color-saturated paint transform this simple ketubah into something more complex and yet restful to the eye. A rich turquoise descends into dark green which then becomes light green. This design is beautifully legible at any size, although those ordering a Conservative ketubah may be happiest with at least a 16x20.